Since I'm not in school anymore there isn't a definitive break between summer and fall based on when classes start. Because of this I pretty much have to arbitrarily choose a point where I say, "OK, now I am preparing for fall." I chose this weekend as my point between summer and fall. Time to get down to business. Not that I haven't been taking care of business all summer long, but work is about to pick up as our fall production season starts, and rehearsals are about to start for a show I'm in in September - October. What did I do to symbolically end the summer? 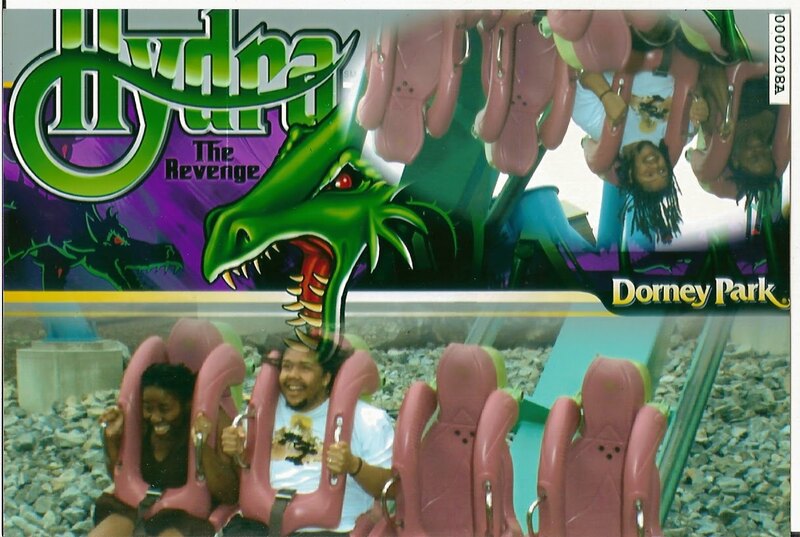 The hubby and I went to Dorney Park!! What do you do to celebrate the end of summer? I want to go to Wildwood, probably in September. Everything is still open but a lot of stores have sales to get rid of merchandise as they'll be closing for the season soon.